I like to read about tattoo in other countries. It’s not that things are always so different when you find out about the tattoo scene in a country other than your own, but you often can discover things that you didn’t know and well, gee, that’s just fun! I came across this article about tattoo in Sweden thinking that it was probably just yet another one of those articles floating around out there that tells us how far advanced mainstream tattoo is. Yadda, yadda, yadda. Not true. While the article does go on a bit about tattoos once being for ruffians and the like, it provided this little nugget of intrigue: Sweden hosts more tattoo studios per capita than almost any other country in the world. That was certainly a surprise to me. Then again, it might not be all that surprising. I mean, there is no shortage of skilled artists in Sweden – Emil Edge, Henrik Gallon, Calle, Carl Löfqvist, to name but a few of the amazing tattooists that those lucky Swedes have access to. ‘It is East Street tattoo studio in Stockholm’s Södermalm neighborhood, where heavily inked and highly skilled artists deliver a delightful mix of pain and pleasure to their clients through a long session with needles and ink. Tattoo studios like East Street are a regular feature of all major towns across Sweden. 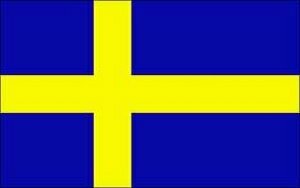 In fact Sweden hosts more studios per capita than almost any other country in the world. Uh…can someone spare a few bucks to send me to Sweden so that I can get tattooed? I promise to blog all about it. No?